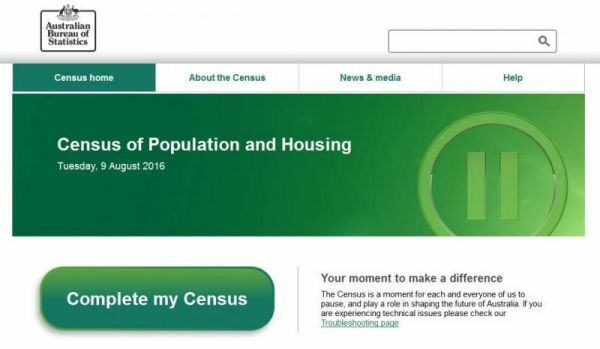 Australian 2016 Census hacked? Or was it? According to our Minister, Michael McCormack, who is in charge of the Census (Flop) I mean Slight Hiccup said due to a ddos attack from another friendly country. or was it a foreign government hacking agency? The online form was taken down for a short time. Well whoever they were, they proved what I already thought about this New Online Census System. I'm not against using the internet as a way of gathering information, BUT I AM AGAINST THE NEW INFORMATION RETENTION Law that has been put in place by the Australian government. I'm sure I didn't vote for this change in the recent elections. This Minor hack, or ddos that inconvenienced all our Australian Populous, stands as a warning as to how insecure, any database connected to the internet, really is. Australian Census Online Form Personally I didn't like the new questions that were added in the Census form, nor do I believe the Australian Government intentions with what they will do with all the information gathered. and why signal out Torres Island indigenous people in this online form. And why is the Government interested in my father and mothers nationality? Why not ask: What type of toilet paper I use, and how often I need to re-supply the cupboard with it, and while were on a roll (ha ha), which grocery chain I buy the paper from, and how much I pay for it. I mean, what is the next set of questions on the Census going to entail. What may seem irrelevant today, will eventually add up to a complete dossier on you. your lifestyle and family habits. What happens if, and when, a question is added along the lines of: Health: Do you or your family suffer from this disease, or have had these symptoms in the past. To me, its like a hidden agenda, supplying information for the Australia Card, Or should I say Drivers License! Information is now going to be shared more readily, among the various government departments. Our freedom is slowly being taken away a small piece at a time. Read what the News.com.au has to say about it.